A week ago, Rebecca Lim released the first book in her new action-packed, Children of the Dragon series. 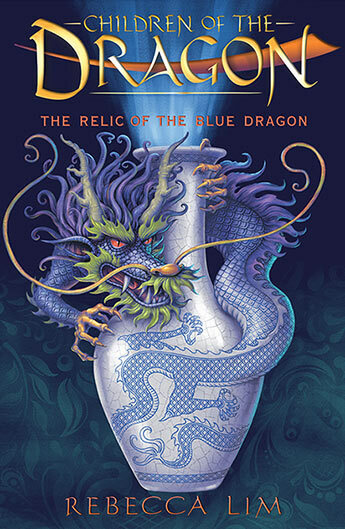 Today, she shares her inspiration and motivations behind the enthralling story of Children of the Dragon: The Relic of the Blue Dragon. Inspirations for my stories come from a lot of places — cold cases, news reports, enduring mysteries, for example — but some of the inspirations for my latest middle grade fantasy novel, The Relic of the Blue Dragon (Children of the Dragon #1), were particularly personal. Relic, briefly, is about an Aussie kid, Harley, finding an old Chinese vase on the footpath on his way home from school. He stuffs it under his jumper and heads home, unleashing an abducted girl from the Warring States-era in China (roughly 475 – 221 BC) and the start of an international adventure that features magic, martial arts and Chinese dragons. It’s well known that the migrant Australian experience or perspective doesn’t feature a great deal in published literature for children in this country and, when it does, it’s invariably written by someone from outside the specific migrant group to which the story relates (giving rise to issues surrounding representation/voice/authenticity). But it’s something that any migrant writer struggles with, and often: Should we be purely confined to writing “migrant Australian” narratives? Or are there other ways to bring non-mainstream stories and experiences into the literary landscape without being restrained to a certain kind of writing? Readers of some of my other novels will know that I’ve always gone “another way”. You’ll see touches of urban fantasy, paranormal, mystery, thriller, romance, literary and crime writing in my work for children and young adults; you’ll be happily reading along and suddenly find yourself in the room with a Norman Knight, the Angel of Death or a Chinese warrior princess, and possibly wonder how you got there. Relic is everything I’ve always tried to do, but with all my love for Chinese myth and legend and the woo-woo Wuxia (a film/literary genre featuring ancient Chinese warrior heroes with superhuman capabilities) movies of my childhood woven in. Also woven into the storyline are the feelings I had as the only ESL kid in my suburban 1970s kindergarten class trying to work out what was going on; who survived the first few weeks and months through mimicry and silent observation. Qing — the girl hero in Relic — is like a supercharged version of that silent migrant kid trying to work out how things work and how to make things right in her fractured world; and the worlds of others. It’s a story I would have loved to read, growing up in this country, but one that I could never find on the shelves in my local library. Rebecca Lim is a writer, illustrator and lawyer based in Melbourne. 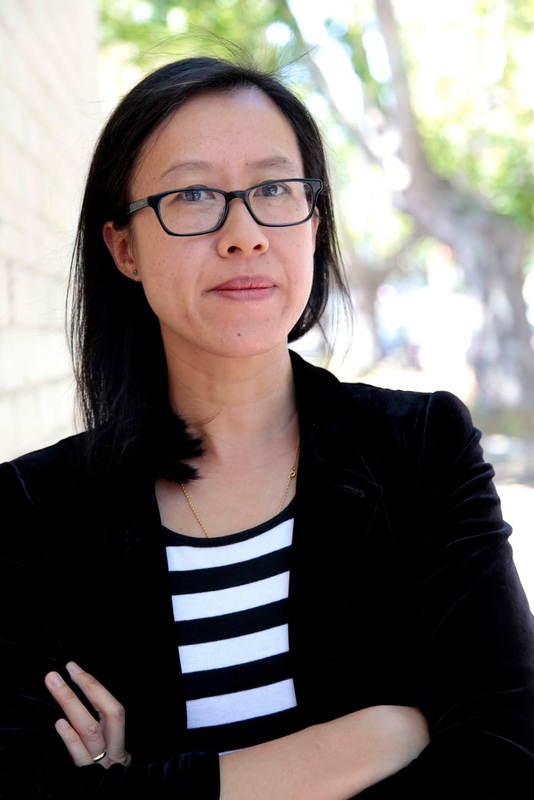 She is the author of seventeen books, including The Astrologer's Daughter (a Kirkus Best Book of 2015 and Notable Book, CBCA Book of the Year for Older Readers), Afterlight and the bestselling Mercy. Shortlisted for the Prime Minister's Literary Award, Aurealis Award, INDIEFAB Book of the Year Award and Davitt Award for YA, Rebecca's work has also been longlisted for the Gold Inky Award and the David Gemmell Legend Award. Her novels have been translated into German, French, Turkish, Portuguese and Polish. She is a co-founder, with Ambelin Kwaymullina, of the Voices from the Intersection initiative to support emerging young adult and children's authors, illustrators and publishing professionals who are Indigenous, people of colour, LGBTIQA or living with disability.